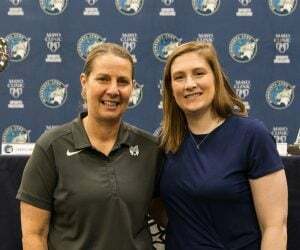 On Friday, the Lynx announced the signing of Karima Christmas-Kelly, a versatile guard who will help anchor the Lynx’s defense while providing an additional scoring punch from the wing. 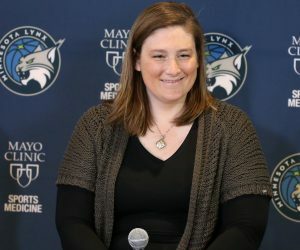 Christmas-Kelly should fit in well with both the Lynx’s culture and on-court game plan and will likely be able to play both shooting guard and small-forward for the team. Christmas-Kelly is excited to get going with the Lynx. After a successful college career at Duke, Christmas-Kelly was drafted by the Washington Mystics with the No. 23 overall pick in 2011 but was waived midway through the 2011 season. That wasn’t stopping her WNBA dream though. She secured a deal with the Tulsa Shock before the 2012 season but was traded to the Indiana Fever midseason where she became a role-player off the bench and helped the Fever beat nonother than the Minnesota Lynx in the 2012 WNBA Finals. Christmas-Kelly played a few more seasons as a role player on the Fever, but broke out during her 2015 season with the Shock. In that season, she started 32 games and averaged 10.6 points and 5.0 rebounds. In 2016, playing for Dallas, Christmas-Kelly built upon her success, averaging 12.4 points, 5.9 rebounds, 2.1 assists and 1.2 steals while starting every single game that season. Her great work continued in 2017 but came to a stopping point in 2018 when she sat the entire season due to injury. 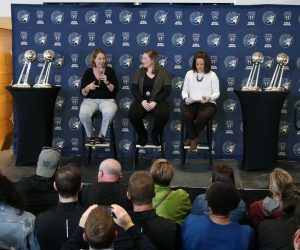 If you’ve ever heard Reeve talk about how she wants the Lynx to play, you’ve probably heard her say that she wants the Lynx to be tough to play against. That’s Christmas-Kelly in a nutshell. Christmas-Kelly will do the dirty work for a team and is an intense competitor and leader. It’s hard to find a stat that can capture intensity on the court, but for guards it’s helpful to look at rebounding. Christmas-Kelly crashes the boards at a very high level for a guard. 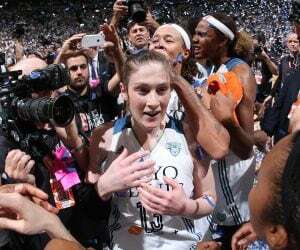 In her last three full seasons of WNBA play she has averaged 5.0, 5.9 and 4.2 rebounds. For a six-foot guard, those are impressive numbers and they speak to her relentlessness on the glass. When paired with Danielle Robinson, who is also a very good rebounder for her size, Christmas-Kelly should be able to take significant rebounding pressure off Sylvia Fowles—that will pay dividends for Minnesota. Christmas-Kelly is a do-it-all kind of player, the kind who is prepared to take on whatever her coaches ask of her and who will compete at a high level every single night. She’s the kind of player that glues teams together—the Lynx should be very excited to have her… so long as Fowles has forgiven her for this block. Christmas-Kelly set a career high of 27 points in a game on May 30, 2017. A career 32.4-percent three-point shooter, Christmas-Kelly is more than capable of making an impact on the offensive end. 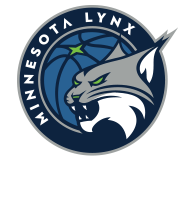 While she isn’t a go-to offensive weapon, when surrounded by the kind of talent that the Lynx already have, she should be more than capable of making an impact on that end of the court. Time will tell exactly how Reeve will elect to use Christmas-Kelly, but her scoring versatility and her ability to pass the ball from the wing give Reeve an interesting piece to play with. An understated part of Christmas-Kelly’s game? Her ability to get to the line. In 2017 she took 4.4 free-throws per game and improved her shooting at the foul line to 85 percent. While the Lynx will want Christmas-Kelly to space the floor around Fowles, her ability to draw fouls and penetrate the paint will be key when Fowles is off the floor. So What About That Injury? Christmas-Kelly opted for knee surgery that forced her to miss almost the entirety of the 2018 WNBA season. The surgery was to address an osteochondral defect in her right knee. Outside of the missed 2018 season, Christmas-Kelly has been extraordinarily durable. Between 2013 and 2018 she missed only two games, starting every single game for her team in four out of five years. Her operation is one that she was fully expected to recover from and one that was targeted towards making sure she could continue to play at a high level going forward—she will look to prove that she still has what it takes with the Lynx, and there’s no reason to expect otherwise.